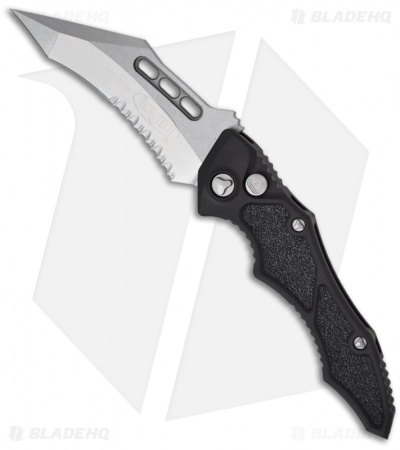 Be sure to view our other Microtech Vector Knives in stock! The Vector knife from Microtech has always been a favorite among collectors and has just been revived as a 2011 model! The Microtech Vector automatic knife sports a stonewash finished S35-VN stainless steel blade with a serrated edge. 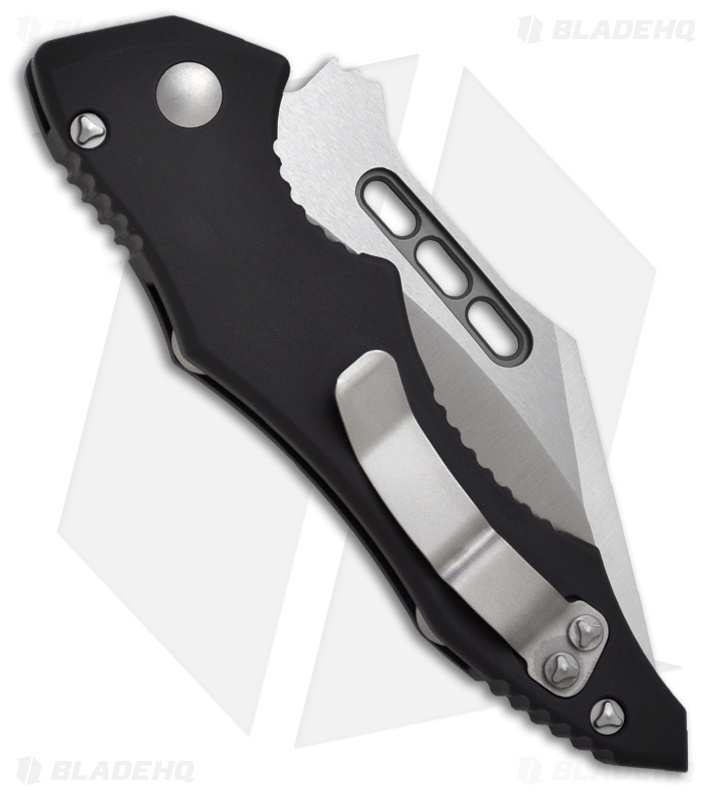 The black finished aluminum handle has textured grip inserts on front. The frame is tapered front to back with an open build and barrel spacers, very robust! Includes pocket clip.